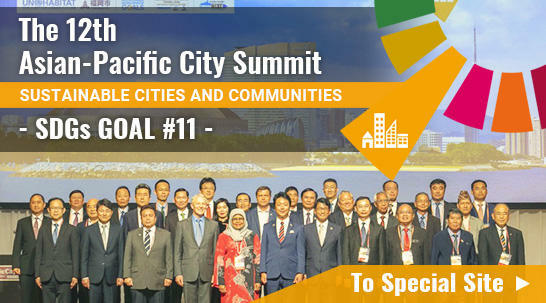 Personal Information refers to data received by Asian-Pacific City Summit (hereinafter referred to as “APCS”) through use of the website that is capable of differentiating specific individuals by name, permanent or e-mail address, phone numbers, or other such information. In principle, the Personal Information collected by APCS will be provided voluntarily by individual users of APCS website. APCS will specify the purpose of any collection of Personal Information, and will only collect the Personal Information necessary to accomplish said specified purpose. APCS will only use the Personal Information it collects to the extent of the purpose specified in advance. APCS will never use or provide Personal Information except with the owner’s permission. APCS website administrators will stringently oversee all Personal Information collected, taking appropriate measures to prevent leaks, misappropriations, loss, and/or tampering of said information. The Personal Information that no longer require to be stored will be erased reliably and promptly. If you wish to link APCS website to your site, please contact APCS Secretariat. Please note that you may be requested to change the setting of the hyperlink or remove it entirely. The contents of third-party websites appearing on APCS website or third-party websites which has link to our site (hereinafter referred as “hyperlinked sites”) are controlled by administrators of each site and are not under our control. APCS does not guarantee or recommend the contents of hyperlinked sites. APCS will take no responsibility whatsoever for any damage caused through access to hyperlinked sites. Furthermore, APCS takes no responsibility whatsoever for any damage or loss resulting from hyperlinking to APCS website. Please note that the contents or address of this website are subject to change or removal without announcement. Please feel free to use the banner below to set up a link to our website. APCS or authors outside APCS possess the full intellectual property (such as trademarks, copyrights, etc.) of each piece of information (articles, photographs, graphics, and so on) on APCS website. APCS website may not be copied or referenced except in such cases that are legally recognized by Article 30: Reproduction for Private Use and Article 32: Quotations in the Copyright Act of Japan, and other applicable laws or agreements. All available means have been taken to ensure the accuracy of the contents on APCS website. However, APCS will take no accountability whatsoever for actions taken by users using the information provided by APCS website. Moreover, APCS will not be held liable for damage or losses incurred by users accessing this website. APCS will take no responsibility whatsoever for any damage caused through the use of third-party websites (including SNS and Twitter) appearing on APCS website, nor through the use of any information provided on said third-party websites. The contents on this website are subject to change or removal without announcement.